-It comes to 2019 that the new trend for LED display technology will probably be the Mini LED display and COB LED display. On March 3rd, ISLE (International Signs & LED Exhibition) was held in Pazhou Expo Center in Guangzhou,China, which lasted 4 days with 100,000 square meters area and 1,800 exhibitors. In this exhibition, the leading LED company has showed their latest technology. Let’s have a fast look what will be the trend in the LED display market. In this show, the NationStar showed their high-end LED components, REESTAR and Mini LED. It is well known that the REESTAR has been required in making high grade outdoor led screens by branded led display users. With REESTAR RS-1515MBAM, RS-C1414MBAR, RS-C1921MBAR series, outdoor LED display can reach P2~P4 fine pitch scope. Mini LED was another core stuff which NationStar focus in the 2019. Mini LED is mainly used in two aspects, the direct-viewing LED screen and back light of commercial big TV. As to LED screen, Mini LED can help the LED display manufacturer to produce P0.X successfully. Another leading LED encapsulation factory, the Kinglight also promote its Mini LED components. It including the “ Hummingbird Max” and display module, “JiMu”(积幕) . The Hummingbird Max is a revolutionary product, taking advantage of both SMD and integrated encapsulation technology. 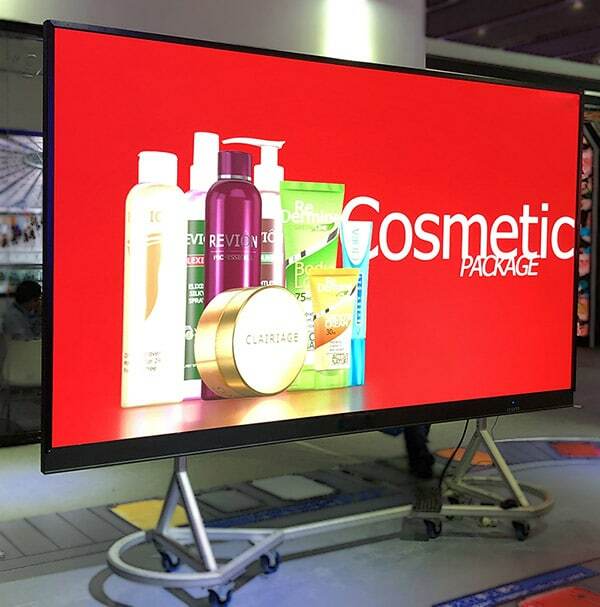 With its own patent technology, it was claimed that it can get perfect color consistency of led screen. And it will get 4 times SMD processing speed and double stability compared to traditional lamps. The JiMu (积幕) can be used for fine pitch up to P0.5 and expanded to Micro LED display region. More importantly, it can gets higher contrast and better visual effect. The big component company, the MLS also showed their creative TOP 1010/1212, 4in1 , 6in1 and the LED for outdoor transparent display. LEDMAN released its latest P0.9 COB fine pith LED display. They made many improvements based its previous versions. Firstly, the P0.9 COB used common cathode design to get 30% lower power consumption. Secondly, its P0.9 COB highly increased its performance of color consistence by optimizing its surface processing and lens design. Cedar Electronics already had good reputation of its COB series. Without question, this time it showed its full COB series including P0.7, P0.9, P1.1, P1.2 and P1.9. The biggest LED display PSU supplier, MeanWell demonstrated their UHP and HSP series, fan-less, natural cooling design, smaller, lightweight which could work well with Mini LED display for smaller pitch development. The world leading controller supplier, NOVA showed its HDR and All in one controller, can get much better screen color performance. Also its Cloud information releasing system attracted audiences’ eyes again.